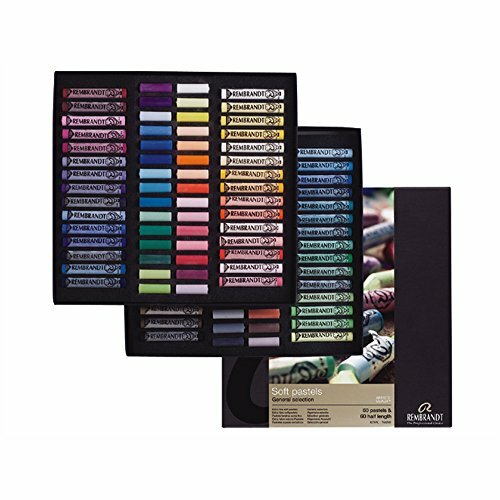 Rembrandt soft pastels are the world's most popular soft pastel with an unsurpassed glow, purity, and intensity. Rembrandt pastels are made from the best quality, finely ground pure pigments in an extra-fine kaolin clay binder. The result is a velvety-smooth softness in every color. Each rich color is thoroughly blended and uniform, end to end. Rembrandt pastels contain no hard bits or sharp edges which could cause shiny spots or scratches during application. Rembrandt pastels are hand-checked throughout production to ensure artists the consistency in texture, color, and working qualities on which they've come to depend.